If you have a vacation home in the mountains or by the lake, this is the place to find furnishings. 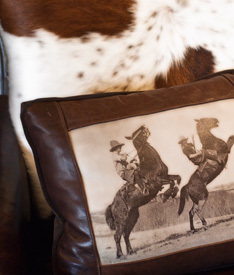 Owner Jason Lenox offers a mix of rustic-yet-high-end pieces such as leather-clad barstools, hide-covered chairs, and sofas upholstered in tapestries. If you don’t currently have a second home, the selection of Pendleton blankets and hand-woven Soumak rugs will have you attempting to right that wrong soon enough. Bonus: Lenox just opened a second store location at Preston Center.